Okay – so I’ve realized one of the things that make Ruth Logan Herne’s books a bit different than some of the others I read. Well, with Ruthy’s books there’s this beautiful steady kind of romance. I mean this in a wonderful, down-home, smell the scent of fresh-baked bread kind of way. Love grows, spreads, learns, explores, and discovers as friends (new or old) feel their way into a possible future. And it’s like that with all three of her books. A tender, growing awareness between the man and woman. Usually, it’s with eyes-wide-open. Wow. Lovely. 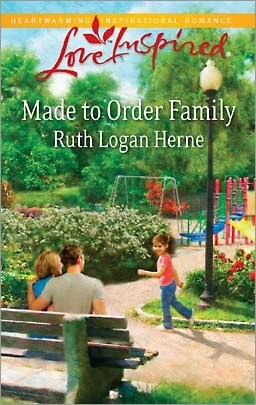 Her newest novel, Made to Order Family, is no different in this gentle nudge into love. As a woman with a shameful past, who trusts herself less than she trusts most other people, Rita is determined to make a fresh start with her three kids. With a dream of owning her own bakery pushing her forward, she consults her hunky woodworking friend, Brooks. Taking it slow is a necessity for these two. Rita & Brooks are both recovering alcoholics. Caution and care are needed for each day – each decision. Rita has enough responsibility in being a widow with three kids, not to mention the former wife of a swindler who took his own life instead of facing the damage he’d caused. Now, as her dreams start to quiver into realities, true love drifts forward in the form of her friend. A man she’s admired for a long time. A solid, honest, secure man. But…a man with a past too. Unlike Rita who has to face her past head-on, Brooks has run from his. But as my granny says, the truth always comes out. No matter how far Brooks might try to run or hide from his secrets, they will find him. He has the choice whether to confront them on his own or allow bitterness to steal freedom from his soul. His discovery of what he wants, and what he has to do to get it, is as lovely as Rita’s. It’s a beautiful mix of difficult parenthood, future possibilities, and love’s promises, all packaged in a very satisfying journey of a mature man & woman. A couple who thought their second chances might have been long gone. I loved it. And I’ll say again – as I’ve said of Ruthy’s heroes before – yum. Brooks is no exception. He is all those strong, sensitive, manly qualities that are sigh-worthy. Wonderful story, Ruthy. And I’m so tickled that there are more to come!!! 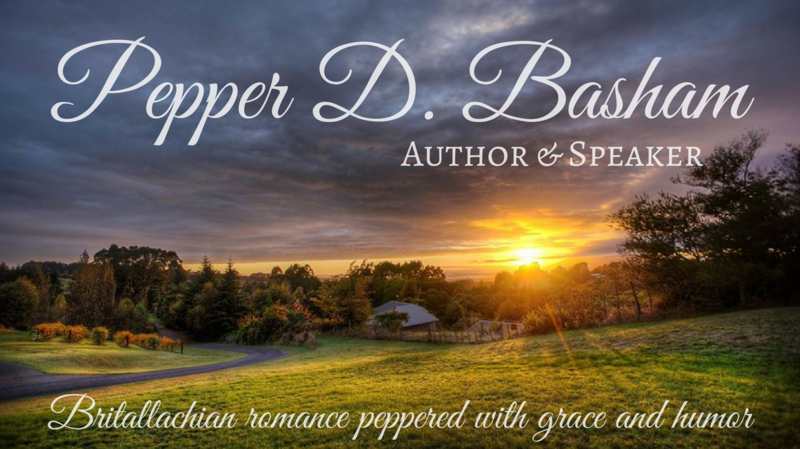 I agree, Pepper with what you said about Ruthy’s books….steady, beautiful kind of romance. I’m now reading Reunited Hearts and loving it. She is a fantastic writer, and I can’t wait to read more of her books. This sounds like another great story from Ruthy. I’ll have to add it to my long to-read list.